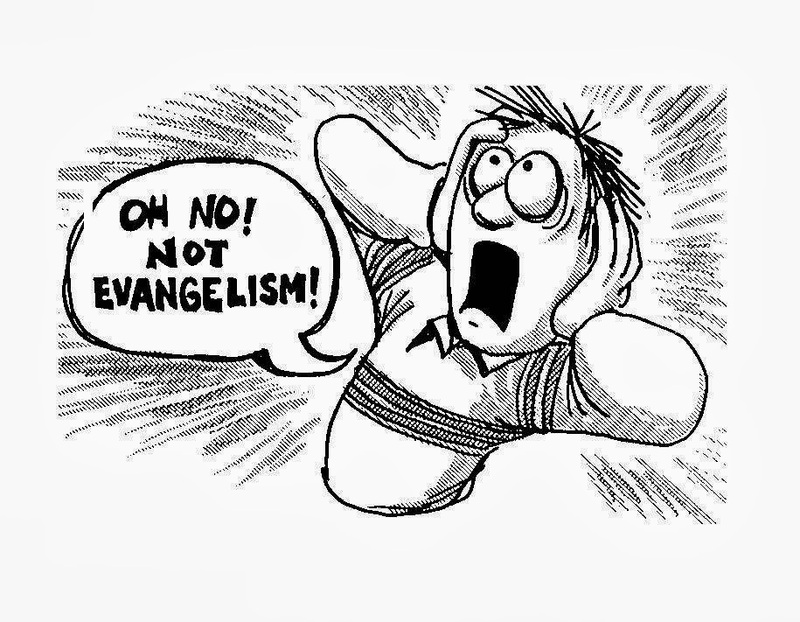 In this post, I offer my understanding of evangelism as a Christian practice. As I develop this understanding and situate evangelism within the broader calling and mission of the church, I will compare and contrast it to the theologies of evangelism offered by William Abraham and Bryan Stone. Walt Klaiber is quite right when he notes that biblical usage of terms surrounding evangelism and mission are not uniform, and equally right when he suggests that it is less important to argue for a “right” designation of scope than to clarify how it is that one intends to use these terms. In this spirit, I suggest speaking of the calling of the church as inclusive of worship, fellowship and witness. Worship refers to those practices which manifests a proper love for God. Fellowship entails the practices which express the church’s love for one another, and witness, includes the cluster of practices that enact the church’s love for the world. In an important sense, both worship and fellowship do witness, but they do so in a passive mode, since their orientation is more directly to God or the fellowship than to the “watching world.” This passive witness is “before” the world but active witness is purposefully “for” the world. Active witness can also be labeled mission and it includes the pluriform ways in which the church participates in the missio dei—God’s pluriform action in history toward the new creation. Among these modes of active witness are included social action, environmental stewardship, ministries of compassion, and evangelism, among others. 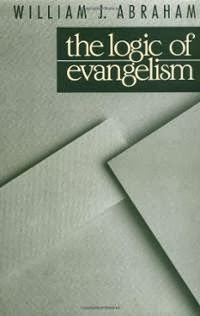 Evangelism, then, is the form of witness which hopes to join the missio dei in the creation of a new redeemed humanity. The church’s practice of evangelism, then, is a stewardship of and a participation in God’s holistic work of conversion within people by which they become full citizens in the reign of God, through and in the church. The church’s participation with God’s work of holistic conversion takes the primary forms of invitation and initiation. Two substantial proposals, those of Abraham and Stone, contribute to development of these two modes. William Abraham’s definition of evangelism is helpful in exploring its expression as initiation. According to Abraham, evangelism ought to be seen as that cluster of activities that the church undertakes with the goal of initiating people into the kingdom of God for the first time. Abraham offers his definition, in contrast to the popular paradigms of evangelism as proclamation and church growth. Proclamation, Abraham notes, may have a good claim to the etymology of euongelion, but it fails to line up with the actual ministry of biblical and early church evangelists, who as Eusebius says in the 2nd century “laid the foundations of the faith” before appointing shepherds and moving on. Indeed, these 2nd century evangelists function as Abraham’s evangelistic exemplars. Church growth, on the other hand, is disturbingly pragmatic and employable without regard for theological concerns. According to Abraham, initiation into the kingdom of God entails a holistic process of six dimensions. First, initiation rests upon a face-to-face personal encounter with God resulting in deep self-knowledge, which he describes as new birth and conversion. (This is precisely the limited notion of conversion I am resisting). Second, initiation entails the liturgical, ecclesial act of baptism whereby the initiate becomes a member of the church. Third, entering the kingdom of God means inheriting the Christianity’s moral tradition, encapsulated by the Great Commandment to love God and love neighbor as self. Fourth, the initiate receives the intellectual tradition in the form of the Nicene Creed. Fifth, the initiate is coached in the reception and use of spiritual gifts, so that they may be an “agent of the kingdom.” Finally, Abraham suggests that a holistic initiation requires basic training in spiritual disciplines so that discernment many accompany spiritual empowerment. Abraham’s proposal has much to recommend it, but it also leaves a crucial dimension of evangelism underdeveloped. Indeed, I share Abraham’s conviction that it is within the evangelistic field to attend to a holistic transformation. This emphasis is especially needed on the contemporary scene which is dominated by evangelistic enterprises that reduce the practice to earning the emotional, and momentary consent or prayer of an individual, or recruiting individuals into consumption of the religious goods and services the church has to offer. The conversion which evangelism hopes for has, as Abraham rightly stresses, multiple dimensions and none of those which Abraham highlights ought to be omitted. What is most lacking in Abraham’s proposal is attention to the church’s practices before formal initiation begins. 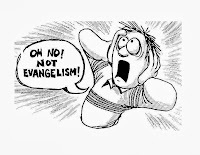 This weakness is evident especially when Abraham and others shorthand his definition of evangelism to simply “initiation in the reign of God” without including “all activities whose goal is…” That is, Abraham is strong in his treatment of evangelism as initiation, but not in his attention to the—admittedly more heavily critiqued—practices of invitation. In this gap is where Bryan Stone’s proposal excels. The church’s evangelistic practice of invitation takes various forms. For Bryan Stone, the most important of these is exemplification (though he also describes it also as confession and proclamation). Evangelism, he suggests, is primarily a matter of making visible the beauty of holiness made real in the church. Indeed, the whole of his proposal can be summarized as an appeal for a more ecclesially-rooted evangelism. The most evangelistic thing the church can do is to be the church, for indeed the church does not need an evangelistic strategy because it is an evangelistic strategy (this phrase is a re-appropriate of Hauerwas’ claim regarding Christian social ethics). The very life of the visible church as an open public with Christological practices of economic sharing, new political identity, peacemaking and the like, is regarded as the ultimate expression of invitation, implicit though it may be. Proclamation, Stone notes, is integral to the church’s evangelistic invitation, chiefly as explication of the fact of the church. But proclamation is itself a form of exemplification. This is an important contribution to the never-ending debates about social action and proclamation. Indeed, proclamation is a visible practice intrinsic to the kingdom which reveals its character the rather than an external activity which points to these. (Blauw states this emphatically: proclamation is the form of the kingdom of God). According to Stone, the salvation to which evangelism invites is in large part found in the life and practices of the church itself. Here, Stone goes a bit too far in attempting to correct for un-ecclesial, individual, mystical visions of salvation; though he always uses phrases such as “in large part,” the overall repetition leaves the reader with the impression that aside from incorporation into the virtuous church, there isn’t much else to salvation. 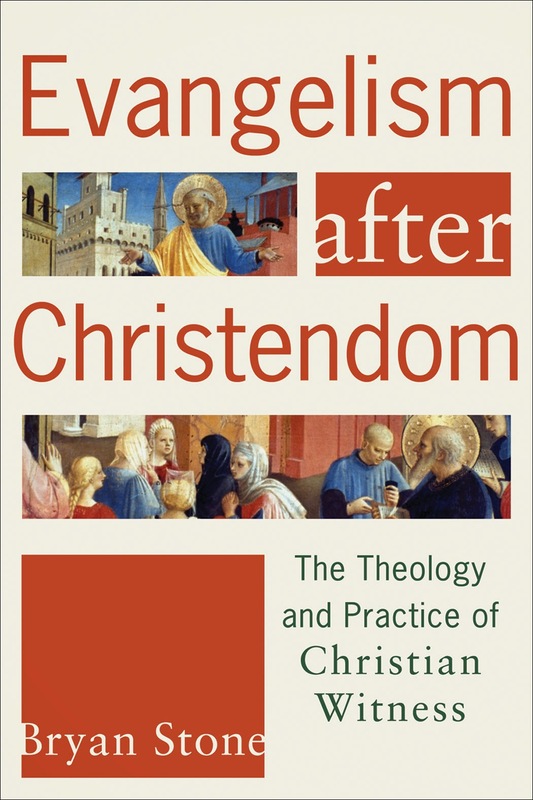 Nonetheless, Stone’s emphasis on the ecclesial (political and economic) nature of salvation and the ecclesial character of faithful evangelism is sorely needed. Stone makes another key contribution. Drawing on MacIntyre’s definition of a practice, Stone articulates evangelism as a practice whose goods and standards of excellence are internal. Thus, evangelism is seen through a logic of witness rather than one of production. The measure of evangelism, therefore, is not what is produces or how well it “works” but rather how faithful it is to the gospel. In other words, evangelism as witness is assessed by its congruence with that to which it witnesses, not by the response of those to whom it witnesses. As a result, a key criteria for Christian-storied evangelism (vs. Constantinian-Storied) is that it is offered in a way that may be responsibly rejected. Concretizing this, Stone suggests that evangelism may be measured by the inclusivity of its reach, whether it is offered to all or only some. One of the frequent questions Stone’s book raises among readers is “where are these churches?” While he highlights a single community, the question persists. Indeed, one of the critical challenges in our time is the disrepute of the church. So poor is the quality and reputation of the church that some have suggested we quit evangelism until we get our house in order. Stone is right that evangelistic practice is basic to how we put our house in order, but even more importantly we need to recognize that evangelism is not dependent upon the existence of a perfect church, but rather one manifesting a conviction of Lordship of Christ. This Lordship can be manifest as faithfully in the humble confessions of the church’s failure to follow its Lord as in its glorious obedience. In summary, I am generally in agreement with the proposals of both Stone and Abraham, but wish to bring together their insights to include within the task of evangelism an ecclesially exemplified invitation, and a holistic initiation (to which the church’s overall environment is a key contributor). In both of these modes—invitation and initiation—evangelism seeks to participate in Trinitarian action as it calls, welcomes, and forms persons into the body of Christ and the people of God. With Abraham, I hope I am saying nothing novel but rather wish to implement the full force of the Great Commission. For all its misappropriations--and they are many--I nonetheless agree that these words of Jesus to his disciples are a succinct statement of the Church’s evangelistic call—to invite and initiate disciples, immersing them in the Trinitarian reality, and apprenticing them the way of Jesus. The keys to patience are acceptance and faith. Accept things as they are, and look realistically at the world around you. Have faith in yourself and in the direction you have chosen. See the link below for more info. If you are interested in some new ideas on religious pluralism, the Trinity, and panentheism, please check out my website at www.religiouspluralism.ca. It previews my book, which has not been published yet and is still a “work-in-progress.” Your constructive criticism would be very much appreciated. 2. Christians and Krishnan Hindus may be said to worship the first person through a second person, i.e. the experiential Universe or "Universal” Absolute Supreme Being (Allsoul or Supersoul), called Son/Christ or Vishnu/Krishna; represented by Michael (Supreme Archangel), Jesus (teacher and savior of souls), and others. The Allsoul is that gestalt of personal human consciousness, which we expect will be the "body of Christ" (Mahdi, Messiah, Kalki or Maitreya) in the second coming – personified in history by Muhammad, Jesus Christ, Buddha (9th incarnation of Vishnu), and others.